A Brief Post on Haylock's "Contra Rand"
During the last year and a half, I have been preoccupied in writing a comic novel, Normal Madness, and did not have the time to post here at ARCHNBlog. Now that I have finished the novel, I can resume, at least for the nonce, posting here. And we do have some unfinished business to take care of. To begin with, there's Rand's novels. We've had some discussions about Atlas Shrugged (in relation to the horrible movies and to Chamber's review), but we've never really discussed We the Living or The Fountainhead. I also would like to provide a series of posts providing a summary of the main points against Rand's Objectivist philosophy that I've made in more detail in earlier posts. The long-awaited Salmieri and Gotthelef, A Companion to Ayn Rand will be out in January. You can read an excerpt here. Philosophy In Action Becomes Inactive. Diana Brickell (Hsieh) has announced her intention "to withdraw from the very public online life that I’ve lead for so many years" and is mothballing her Philosophy In Action site, where she was developing a kind of Ayn Rand Agony Aunt service. 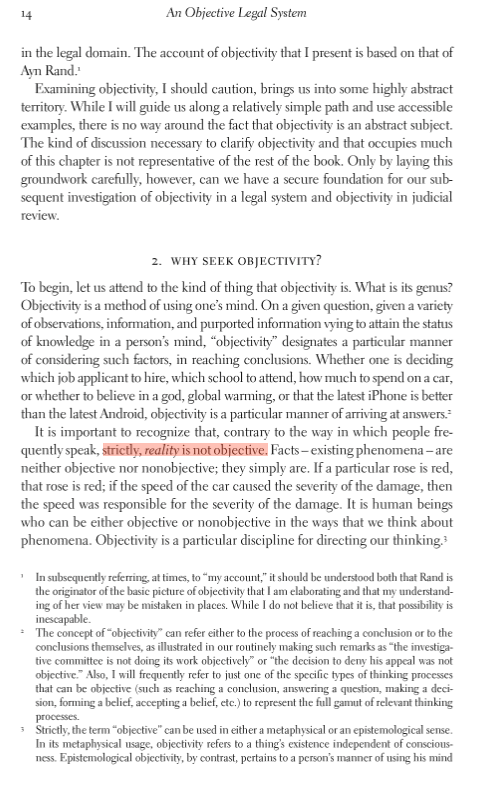 Brickell (Hsieh) has been a human weathervane for the various political currents blowing through Objectivism over the years,her position fluctuating wildly between apparatchik orthodoxy and so called "open" Objectivism. Perhaps this is another signal that the movement is, as it has appeared to be for the past few years, in the doldrums. Hilarious. John Allison forked out $2m for Tara Smith to sit around playing word games like this all day. 2. The Ayn Rand Institute has an extensive You Tube channel. For those of you who have trouble sleeping, here are some videos from previous Objectivism Conferences. 3. Dustin Byrd recently published A Critique of Ayn Rand’s Philosophy of Religion: The Gospel According to John Galt. The book is expensive ($85) but there is a generous preview available on Amazon. Courtesy of occasional contributor Neil Parille, here's a handy roundup of Objectivism-related doings. 1. Ayn Rand biographer Anne Heller will shortly be publishing a small biography of Hanna Arendt. 4. Objectivist philosopher Greg Salmieri was interviewed about Rand’s ethical theory. 5. Peter Schwartz published In Defense of Selfishness. Ex-Objectivist philosopher Bryan Register critiques it on his new blog here and here and here. As per Gordon's suggestion. Comment away as the spirit moves you.